A 60 inch Spider will surely scare the most experienced trick or treaters. With spooky movements and 150 CUL LED Lights to illuminate this giant Spider is scary. Made with sturdy metal framing and covered weather resistant materials. Frighten your friends with this animated Airblown. character. The two-headed dragon moves its wings and features colourful, swirling lights. Plug it in, stake it down and watch the magic of this Airblown. inflatable unfold! You'll be filled with dread as you cross paths with the 72 inch Animated Scarecrow. With glowing red eyes and realistic mouth movements, this creepy character is possessed by something sinister. Scary sound effects will terrorize Trick or Treat both big and small. 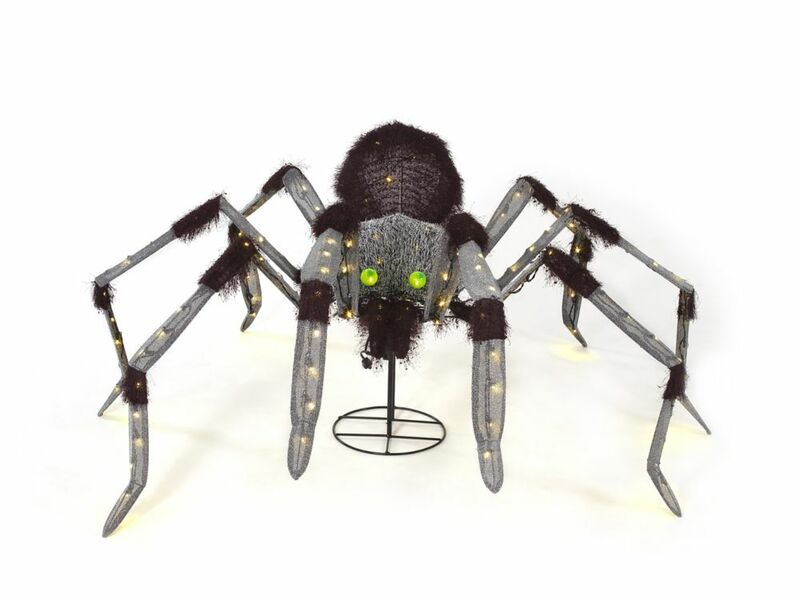 60-inch Animated Giant Spider Halloween Decoration A 60 inch Spider will surely scare the most experienced trick or treaters. With spooky movements and 150 CUL LED Lights to illuminate this giant Spider is scary. Made with sturdy metal framing and covered weather resistant materials.